January | 2011 | it's a wrap! The service industry in Malaysia has never made much of an impression on me. I have had some grest experiences where the people serving go to great lengths to make your visit enjoyable, and that, especially for restaurants, will play a huge part in making sure I think of their eatery when I next want to eat. Anyhow, they patiently listened to my requests for to “pack the coffees in pairs, put in the buns, sauces and serviettes.” They sent me off with brilliant smiles. I stepped out into the cloudy, breezy morning and thought, wow, I got smiles! My family was down for the weekend. The whole family was up mid-morning on Sunday. One bathroom, 8 people waiting in line, multiplies that by 20 minutes per person, and you’ll get 2 hours and 40 minutes worth of bathroom usage. Everybody waits at least 2 hours for their turn. Sometimes, irritants are really quite impossible to avoid when you’re so cramped for space. Take for example, when all 4 ladies want to do their make-up and change at the same time! At one point, I wanted to use a mirror, my mom was in the changing room, and one of my sisters in the other room, even the bathroom mirror was in use by the other sister! I gave up. I used the compact mirror. We ventured out into the sunny day and went to this marketplace for lunch. Picture a really old neighbourhood, cramped for space, shop lots chock a block, paint peeling, one way streets whose signs get ignored, horrendous traffic jam, cars get held up because of the morning market, hawker food spilling out from these old coffee shops where the women had probably spent most of their married years shopping for their vegetables and daily groceries, stopping for breakfast daily and their coffee break while catching up on the week’s gossip. I have this favourite chicken rice stall in the midst of all these chaos. I like the fragrant rice, smelling of fresh chicken stock and the roast chicken which was tender. That particular shop is also famous for its noodle. Personally I find it too pork-y. But then, can’t speak for all. It’s not about food that I want to talk about today though. I have been there countless times in the past few years that I stayed in the area. Sometimes if I am alone, I do take away. I recognized the couple who operates the stall already. The lady would take my orders and the man who would prepare it. My order came and as usual, I requested for Chinese spring onions to accompany my order. The guy who brought our orders nodded and smiled brilliant smile. I was floored. After my spring onions came, my sister requested for another bowl of soup. Once again, he nodded and smiled, bringing the soup with yet another smile. After that I began to take notice of him, and I realized he smiled like that ALL the time, to every customer. He really encapsulated the meaning of “Service with a smile”. He seemed to enjoy his job. He enjoys serving customers their food. It is such a simple act but what an amazing attitude. Maybe it never even crossed his mind that he would make any impact amidst all the chaos. You know what, he did. He did, at least to me. The thought of that brilliant smile stayed with me for the rest of the day. Oddly a simple man, of a different country of origin, whom I know nothing about, made me feel good about life. My good friends wondered at me, and it’s no surprise, I wonder at myself too. Wars have been raged, battles fought between the head and the heart. I wonder if I am too cowardly to know the truth. The truth that may not be to my liking. Is it because if this that I choose to behave like an ostrich? Burying my head in the sand and ignoring the ever changing world. My resolve weakens every time my loved ones talk to me, beseeching me to seek an answer and move on, whatever it may be. They implore me to question, to come clean. My heart aches because I know they love and care for me. All they would want for me would be my happiness. Over the weekend, some parts of the tangled web came undone for me. I have never fully understood what held me back, but it’s that still, small voice I do not want to ignore that has been cautioning me, holding out a hand in front of me. It is still not the right time. I still have to wait. But what am I waiting for? I do not know. And for many people, including myself, if I were not in the situation, will never understand. I would say it’s ridiculous. This is the hard part. To have to hold on, when you do not know if the ending is worth holding on for. To not know whether it’ll be a happy ending or one that breaks your heart. To not know if it’s a yes or a no. 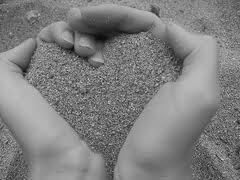 As the image of sand held in the palm of the hand comes to mind, I am reminded that held too tightly, the sand slips through the fingers and fall away, held gently, with a slightly cupped hand, it stays for as long as we want it to. If I push for an answer, there is a high percentage that it will not go well. I care about it too much to risk that. I know this may sound like cliche and maybe an excuse even, but the only thing worst than waiting is wishing you had waited for it. I discovered a really interesting blog by chance. It’s by a lady awarded Female Photographer of the Year 2010. She has a studio of her own and her photos are breathtaking, the lighting, the focus and the subjects. The wedding and family portraits she shot were just amazing. I have always admired portrait shots, how a photographer just captures the moment, that’s why so many people take wedding portraits, I presume. The skills of a photographer are really tested to see if he/she manages to bring about candid shots that are natural and captures the personality of the subjects. It’s no easy job. Once you miss a moment, that’s it. It’s gone. How I would love to be able to shoot like that. On another note, I have been off coffee for more than a week. Wow, I can scarcely believe it. I think the last coffee I had was the latte up in the hills. 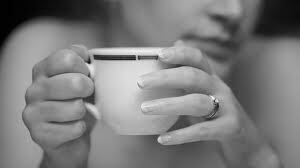 I normally don’t take latte, unless I wish to sleep at night. But due to sore throat, I resorted to it at breakfast. Still, I fell ill. I walked past the coffee counter after lunch today and bought one on impulse. The scalding coffee tasted a little alien to my tongue. It was like getting reacquainted with someone whom I have not spoken to for more than a week. Even the aftertaste taste funny, if you know what I mean. There are really so many things to catch up on. I have been religiously drinking honey with green tea since I got back to work. I kind of like it. My hair is supposedly the colour of mocha but when the light shines on it, it’s so much lighter than the name suggests! Today’s the 11th of January 2011. So many number 1’s. I’ve got 2 weddings to attend this month. It’s 3 weeks to Chinese New Year and yet I don’t feel the festivities in the air. I thought it was kind of “sayang” to take leave on the last day of the year and waste a day. I could work with minimal cars and people around. Enjoy the calm and solitude. And send the year off quietly and gratitude. Well, it was not to be this year as with the previous. My siblings were coming for a visit and i thought that I should be dutiful, make the most of it and spend the day with them. Not that I do not want to, after all these ocaasions for family bonding does not come often but I enjoy them tremendously. One of the small, thoughtful things that prompts me to smile. *Although the reason for the public holiday was realized by me only much later. I sincerely thought that it was a bonus because it was the last day of the year! Ever had an image of something in your mind when a particular topic pops up? Recently I am associating relationships with flowers. 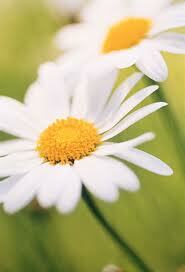 I recall the simpleness of puppy love in the open hearted daisy. I remember 2 students having crushes on each other and one or the other over a short period of time ask the opposite party out. That was it, they were dating. It was simple then, a movie, double dates, group dates, a simple lunch, study dates, facing school together, going for extra classes, hanging out with members of the family even, if they took it a little more seriously. Then the rich blueish purple of the twenties. When one starts working, and gets to spend the money earned. This is the time when one hangs out in bars and lounges, and handles relationships with a little more depth and thought. 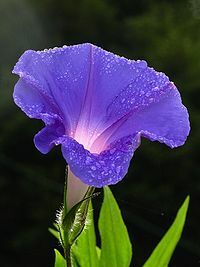 Thus the outer rich blues of the violet. Yet, the inner core maintains the pureness of white, representing innocence. Relationships that blossom in this way could very well lead to a meaningful marriage. As one matures after brushes and encounters with some relationships, one tends to take a more stand-offish stance towards it. 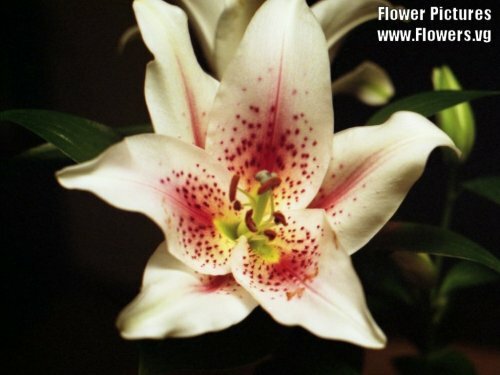 Like the starburst lily, the cool whiteness of the white petals belied the passionate heart of this flower. Once you get beneath the exterior coolness, you’ll find such lasting passion in this relationship. And the rose, ahh, the rose, it looks so unimpressive when it’s in a bud, such a humble looking flower, without form and beauty. As the experience of going through life gently unfolds this flower, the rose slowly blossoms,petal by petal. Some relationships are like this flower. Petal by petal, event by event, experience by experience gently unfolding, blossoming. The rose, because if it’s many, many layers and petals, takes the longest time to bloom. All the other flowers’ petals are laid bare for the world to see. It is so very obvious where it’s headed. There is not much of a secret once you get beyond the petals. 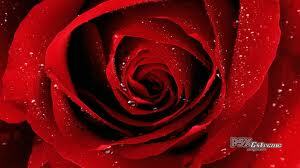 But the rose, hides within it not only passion, but one who refuses to give up it’s secrets easily. It takes time, nurturing, it takes passion, it takes patience and most of all it needs to run it’s course naturally. Oh, but it’s so hard to have to wait, waiting for it to blossom, impatience tends to set in at times, but wait, wait, once it’s fully blossomed, it WILL take your breath away! And that is the least of it’s promises. 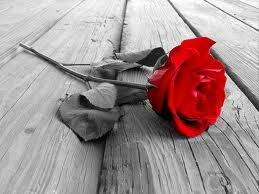 I’m thinking it’s no coincidence that the rose has been associated with love for so many centuries. I’m also of the thought that it is no coincidence that I happen to associate flowers, most of all the rose with relationships recently. Who could be creative enough to bring it to mind but the Creator of creativity?